History never tires of teaching lessons — often very cruel ones — to those who are able to learn these lessons at least to some extent. One of the most important lessons is that a statesman who drifts indifferently or pusillanimously with the current of history is doomed to failure by definition, because he does not deserve a different fate. A historical figure who has a clear goal and the will to fight can also suffer an ignominious defeat, but his descendants will honor his memory. A true statesman differs from a miserable power-wielding charlatan, who regards politics merely as a gamble and even tries to work out some “rules of the game,” by his ability to think about the coming generations. For the reader’s information (not everyone will believe this): these lines were not written in December 2007 but in April 1873. Kostomarov’s idea is important, because it paints a brilliant picture of this period of anarchy, intrigues, and malicious individualism, one in which Hetman Petro Doroshenko was destined to struggle to attain his goal of uniting the living body of his native land, which had been mercilessly torn apart into Right-Bank and Left-Bank Ukraine. Doroshenko’s entire life demonstrates that he was much better prepared for this extremely difficult historic mission than any other contenders for the hetman’s mace. Petro Doroshenko was born in the Cossack capital of Chyhyryn in 1627 into a well-known and respected Cossack officer’s family. His grandfather, the gallant and popular Hetman Mykhailo Doroshenko, took part in dozens of expeditions during Sahaidachny’s rule and was killed in the 1628 Crimean campaign. Petro received an excellent education, although historians are still arguing about where the future hetman studied. He was fluent in Latin and Polish and well-versed in history and the art of rhetoric. But it was undoubtedly “the school of Bohdan Khmelnytsky” that played a decisive role in Doroshenko’s life — from serving in the Chyhyryn and Pryluka regiments (in 1657, at the age of 30, he rose from the position of clerk to the colonel of Pryluka) to carrying out delicate diplomatic missions on behalf of Hetman Khmelnytsky. When Hetman Ivan Vyhovsky came to power, Doroshenko supported him, and in 1659, when Khmelnytsky’s son Yurii was proclaimed hetman, Doroshenko, who was the colonel of Cherkasy at the time, was sent to Moscow to negotiate at least some easing of the “second” Treaty of Pereiaslav, a very onerous and oppressive pact for Ukraine, which was signed in October of that year by the young and weak Hetman Yurii (“an inexperienced halfwit,” to quote Mykhailo Hrushevsky) under heavy pressure from the Muscovite voivode Prince Trubetskoi. Naturally, the Doroshenko mission was not (and could not be) crowned with success, but it gave the young diplomat and future hetman an opportunity to make a close study of the political ways of Muscovy. The early 1660s were a period when the split in Ukrainian hetman-based statehood and the destruction of the very foundations of public life assumed a clearly disastrous nature. The two large military expeditions initiated by King Jan Casimir of Poland to Right-Bank Ukraine in 1660 and 1663 so totally devastated the fertile Bratslav, Cherkasy, and Kyiv lands that even the extremely cruel Polish general Stefan Czarniecki was compelled to admit, “All of Ukraine chose to die rather than submit to the Poles.” There was also the notorious “Black Council” that took place in 1663 in the Moscow-controlled Left-Bank Ukraine, when a considerable part of the Cossack officers were executed on the orders of the “rabble’s protector” Briukhovetsky. 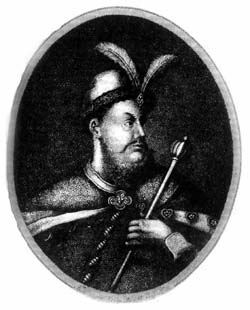 On Oct. 10, 1665, a Cossack council was specially convened to elect a new hetman for Right-Bank Ukraine; the previous one, the Polish stooge Pavlo Teteria, had been literally swept away by a wave of popular wrath, and he abdicated and fled to Warsaw in the spring of 1665. The council elected Petro Doroshenko, on whom the exhausted, disheartened, and demoralized Ukrainian people were pinning their last hopes. The main goal that the newly-elected hetman set himself after the crucial consolidation of power (his most likely rivals, the little-known Stepan Opara and the more imposing colonel of Bratslav, Drozdenko, were neutralized) was to implement a program to overcome the Ruin through the reunification of both parts of Ukraine. It is, of course, a moot point whether Doroshenko had such a program (this was the 17th century, when political planning as such was of a very special nature). The most adequate approach here is to analyze the concrete actions of Hetman Doroshenko in 1665-76. Meanwhile, at the beginning of his hetmanship, Doroshenko temporarily recognized the authority of the Polish king (and, concurrently, the protectorate of the Crimean khan). He also actively negotiated with the Turkish sultan for an Ottoman protectorate over Ukraine on the basis of the creation of a “Grand Duchy of Ruthenia” (Rus’) and with the Muscovite tsar for “non-contention,” and whenever he seized a city he accepted simultaneous oaths from them to the king and the khan. The hetman began to capture towns rapidly. Within a year after coming to power, he had acquired control over the overwhelming majority of Right— Bank Ukraine’s lands and regiments and had an army of 35,000-40,000 troops. However, the Left-Bank Hetman Ivan Briukhovetsky was still a formidable obstacle. He was an exceptionally crafty intriguer and demagogue, a shameless toady of Moscow, whose obsequiousness to the tsar, perfidy, and cruelty stirred up hatred among all the Ukrainians in the regions of Poltava, Chernihiv, and Slobidska Ukraine. Attempting to carry out a preemptive strike and aware of the impending large-scale anti-tsarist uprising, Briukhovetsky chose to “lead” the rebellion and called for ousting the Muscovite voivodes from Ukraine. At the same time, he began to negotiate a “strategic partnership” with Doroshenko, but Briukhovetsky grossly miscalculated here, hoping that Doroshenko would be an obedient tool in his hands. Hetman Doroshenko marched on Left-Bank Ukraine in the spring of 1668, calling up thousands of men to his colors. His popularity was boosted by his victory in 1667 over the Polish army led by Machowski and general discontent with the Treaty of Andrusovo (1667) between Russia and Poland, which finally legalized the partition of Ukraine along the Dnipro River. So when Doroshenko’s troops approached Briukhovetsky’s camp in Opishnia in June 1668, the Cossacks switched sides, mutinied against the Left-Bank hetman, and killed him; an ignominious and predictable end. It seemed that the hour of Doroshenko’s highest triumph had come and that his goal was close to being achieved, as never before. However, the many enemies of the hetman — who had almost succeeded in reuniting Ukraine — primarily Warsaw and Moscow, joined forces and made an all-out effort to thwart the plans of the popular Ukrainian leader. The Polish troops led by the Crown Hetman, the future king Jan Sobieski, launched a massive attack on Doroshenko; in Left- Bank Ukraine pro-Moscow circles were exerting relentless pressure on the Cossack officers and nominated a new hetman, Demian Mnohohrishny, as an alternative to Doroshenko’s unifying movement. The hetman was gradually but steadily falling into a trap that is traditional for our national leaders: excessive dependence on external forces. This especially applied to relations with the Turkish sultan. 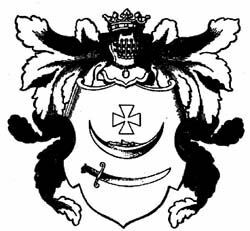 Already in January 1668 it had been decided at a Cossack council in Chyhyryn not to recognize the supreme authority of either the Muscovite tsar or the Polish king but to ask the sultan (as a relatively neutral force) for protection on the condition that full autonomy would be granted to the Ukrainian lands. Later, in the fall of 1668, Doroshenko’s special envoys Hryhorii Bilohrud and Lev Buskevych submitted conditions to Istanbul that were even more beneficial (for Ukraine) for the treaty with the sultan: an interstate alliance (on the traditional basis formed by Khmelnytsky) in order to counter Polish and Muscovite expansion. However, events were spinning out of control. Naturally, the sultan also had certain plans for the Ukrainian lands. When the Turkish ruler Mohammed IV invaded Right-Bank Ukraine in the spring of 1672, at the head of a 100,000- strong army and declared war on Poland (“for attacking my loyal Doroshenko”), the vast Ukrainian territory was laid waste, cities were burned down, and hundreds of thousands of people were taken into captivity. The most terrible thing was that the people knew that Doroshenko himself supported the sultan. Equally horrible were the consequences of another invasion in 1676-77, when the famous Cossack capital of Chyhyryn was seized and burned down. Having lost his erstwhile prestige, Hetman Doroshenko abdicated on Sept. 19, 1676, in favor of the pro-Russian Ivan Samoilovych from Left-Bank Ukraine. This time Moscow meted out “gracious” treatment to the former hetman: he was banished to the village of Yaropolcha near Volokolamsk (the tsar’s gift! 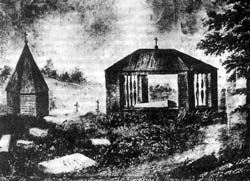 ), where he died in November 1698. But the people remembered him, despite being aware of the many fatal errors that were committed by this person, who sincerely wished Ukraine nothing but good.